This is one of my most favorite meals! 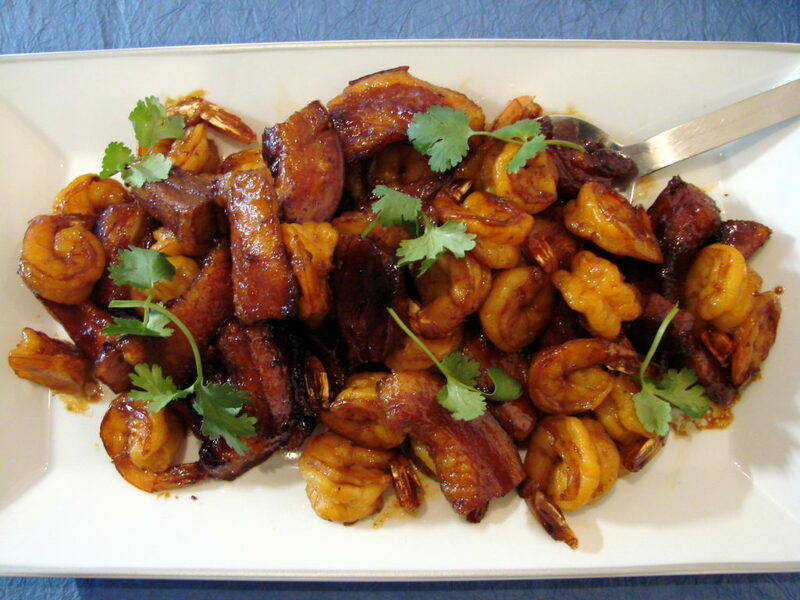 This Bon Appetite recipe from Vietnam is sure to please. It’s one of my 5 favorite meals. And, it is so easy to make that you’d not believe it’s so delicious. Many of my friends rave about this dish and ask for the recipe. 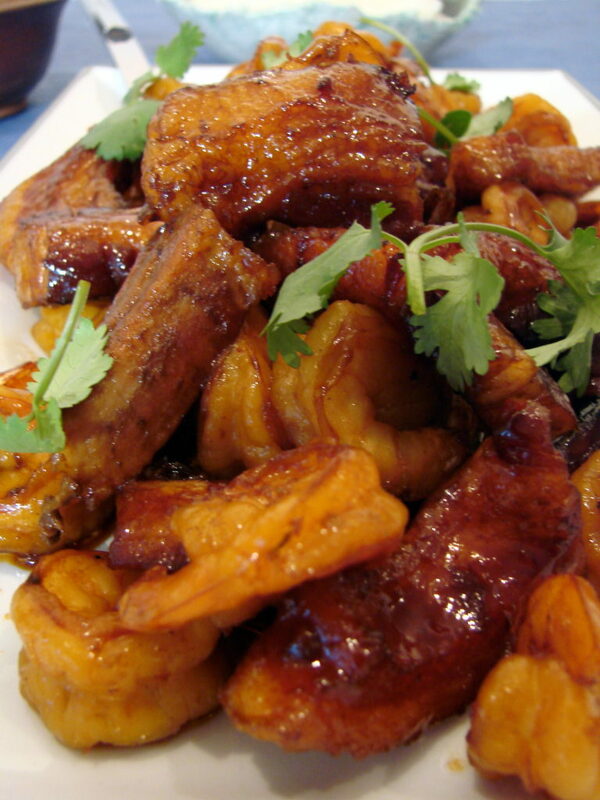 Serve this dish with the sauce and rice. Here’s a close-up of the finished product. Whisk all ingredients in small bowl and let stand at room temp for at least 30 minutes or up to 2 hours—this is really fast and easy. Don’t skip the sauce; it goes perfectly with the rice served with the meal. Sprinkle sugar over bottom of heavy large skillet NOT nonstick—I use cast iron. Place the skillet over med heat and heat without stirring until sugar melts, then caramelizes to medium golden color, occasionally swirling pan, about 7 min. Arrange pork belly strips in caramel in single layer. Pour 1/2 C water over. Cook until water evaporates, turning pork occasionally, 12-14 min. Add 1/2 c more water. Cook until water evaporates again, turning pork occasionally, 12-14 min. Add 1/2 cup water one final time. Cook until pork is tender, deep brown, and crisp and water has evaporated again. Remove skillet from heat and remove pork to plate. Cut each pork strip in 1/2 crosswise. Sprinkle lightly w/salt and generously w/pepper. Return skillet w/drippings to med-high heat. Add shrimp and sauté until golden turning once, about 2 min. Return pork to skillet. 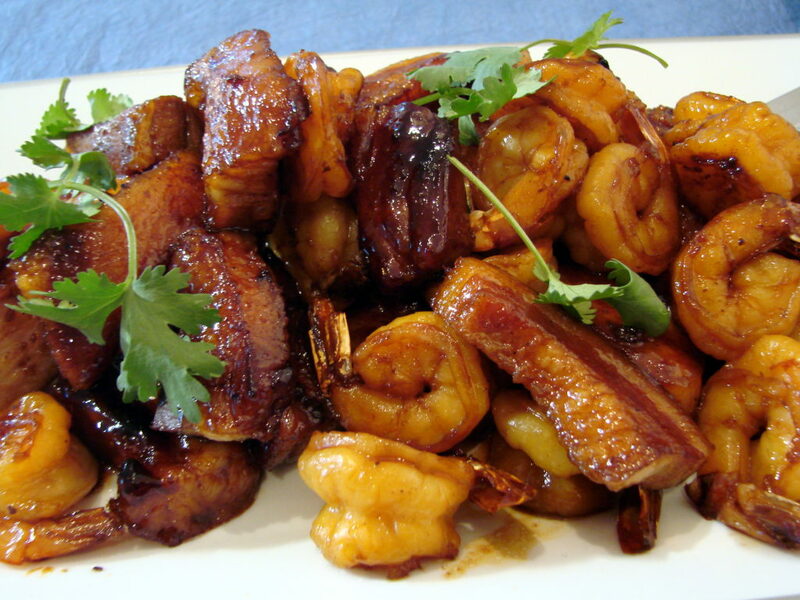 Toss pork and shrimp until shrimp are just opaque in center, about 1 min. Mound on platter. Sprinkle with onions and cilantro. Serve w/rice and sauce. 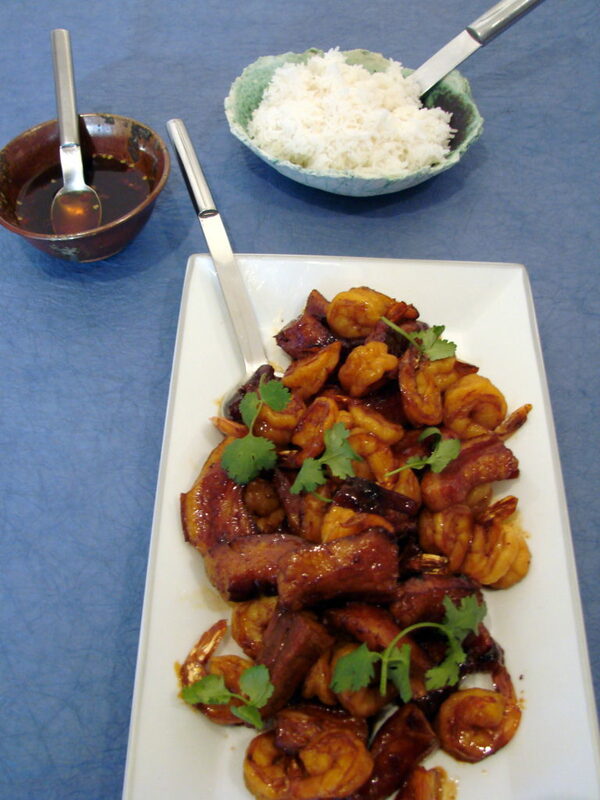 If possible, use Jasmine rice, as it has such a nice flavor. If you serve this to friends, they’ll ask for the recipe.